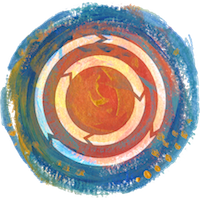 You are here: Home / Abundance / How to Make Your Art Stand Out Online? How to Make Your Art Stand Out Online? It’s a question that artists of all stripes wonder. There are thousands of artists around the world who sell hundreds of thousands of pieces online. How can you get anyone’s attention? I’m bringing a focus on the basics back to The Abundant Artist. 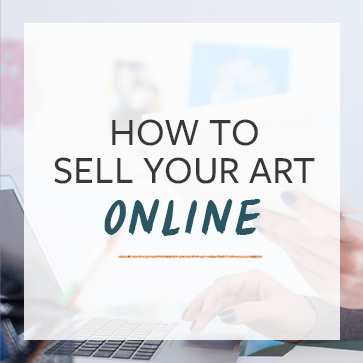 For the next couple of weeks, we’re going to publish a series of articles on the basics of selling art online. Nothing crazy or flashy – just 10 posts on how to build a solid foundation for long term online success. This is the first post. I’ll break it down for you here in a succinct way. Define your target audience or collector. No matter how great you are, your art will never be loved by everyone. Who really likes your stuff? Who do you know that has said, “wow, I really love your necklace/painting/song?” Of all the people who’ve said this to you, what do they have in common? How old are they, what are their interests, approximate income? Define what makes you unique. Even if you consider yourself just another jewelry maker, chances are that your work is unique in some way. Perhaps you make jewelry out of recycled glass? Maybe you really like to make customized pieces? Combine that with the unique things about your target market. Of course, you’ll also need to get your own website so that you can present your own unique style. Sell to your audience. Don’t worry about standing out for everyone who sees you. Once you know who you’re trying to reach and what makes you unique, just put yourself in the places where those people hang out. Display your work on Etsy, Amazon, and the other places to sell art online that are out there, but then start visiting niche blogs that your target audience is reading. Find a way to get your art featured there. Build a List. This is crucially important, and too many artists miss this. Once you start getting attention you need a way to keep their attention. Sign up for an email list management service like Mailchimp.com, and then put up a signup form on your website. Put on your website that you offer special offers to your mailing list and let people sign up for it. Most of your sales will come from your mailing list. Want to get a broad overview of how artists can practically apply Content Marketing to their own art business? Check out the recording that we did of our free webinar on Content Marketing. Thanks, Cory! I’m in process on all of those things, but you’re right — I do need to pay more attention to building my mailing list! Nice article. I’ve added it to my blog review. I hope you get new French redears through my blog. I don’t have a problem with gathering a list. I have more trouble defining what my customers have in common and where they hang out. So far all of them are students of a particular writing teacher and many (possibly all) are on Facebook. They are all married with at least one child and all but one live in Texas (I don’t). How this helps me I don’t yet know, but I’ve been reading about marketing a bit. @Sharyn Dimmick (The Kale Chronicles) Figure out anything more yet Sharyn? Great post, Cory. I like your focus on the basics here. Know yourself, know your collectors, build your mailing list, and don’t let them forget about your work through regular emails. Great advice! I’m looking forward to the rest of this series of posts. @stephenmelancon Thanks Stephen. I just did an interview with an artist who followed this formula exactly, and just sold his first original painting online. I’ll be posting it soon. Hello Cory and thank you for the excellent advice. So often we artists tend to forget the basics of building a customer base. Your tip on going to blogs that target your niche market is something that should be obvious but I never thought of approaching the blogger to do a feature on my work. I guess I’m old school and never liked blowing my own horn but in today’s world it’s a matter of survival. Nobody is going to promote you with the same vigor that you will have yourself, until you break the ice and communicate with them first. Thanks again for a great post! @Alan Rutherford Be sure to come back and let us know how it goes! Cory, thanks for the video and advice. It’s time for me to stop & really think about the questions and facts in your video, then act. Thanks for the prompt! Thanks for your valuable tips,! This has made my day, thanks a lot. Would love to hear more of it. i like this idea. thanks for the video link! Excellent post (and video :). It took me a while to understand these things and, like a few other commenters here already mentioned, my main challenges are: 1) finding where my ideal collector hangs out and 2) actually getting that newsletter out on a regular basis. Any tips? That was very helpful, thank you Cory! Fantastic and concise advice! Thank you! I can’t wait to delve ínto this online marketing world. I was reading this article on my phone, the 2 links “mapping out…to the world” and “click here to check it out” are broken links (page not found). You’re on the right track Barbara! Thank you so much, i feel like i found my place here where i have learned a lot… now i have many things in my mind. you helped so much Cory. cant wait to start to sell my art online. I’m just starting out in selling my art. I don’t have enough feedback according to your article to even begin to know how to target my audience. How does a total beginner find this out? I live in a rural area, have been in a few local art guild shows. The people I’ve talked to aren’t very knowledgeable about online marketing either. So how do I even get any idea about who my target audience would be? Thanks for the information on Researching Online Art Markets and How To make Your Art Stand Out Online. I still have more research to do, but the two things I’ve already learned is that I need to create my own website and that I’ve got to get off DeviantArt. I realize that my work is getting “lost in the sauce” amidst a sea of other artwork and I need a platform to showcase my own art. I’m looking forward to learning more about taking the steps to being a successful & professional artist I’ve always wanted to be. I look forwards to learning more. I am new to this posting thing,but not new to art. I have been doing this from very young,and never went to school for any of it. I have had my work,or pieces to display in a gallery in New Orleans,la. gallery owner Myesha Francis @Mfrancis Gallery and Studio. (Nice owner). I desire to have the artwork sold,but what steps do I take in order to do so? I am an illustrator of children’s books also,and that market alone is tough when you are new at that. (Yes,I only illustrated two),but is adamant about doing more! Anyway, I need advice! I am a true starving artist/Illustrator!